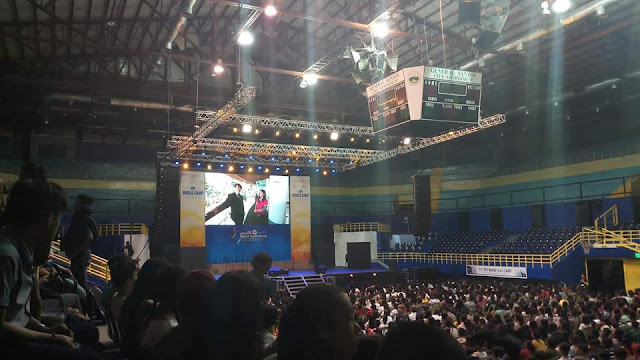 It is now 138 years since Jose Rizal depicted the Filipino youth as “bella esperanza dela patria mia” or fair hope of my motherland in his award-winning poem A la Juventud Filipina (To the Filipino Youth). It is perhaps the most popular quotation attributed to a Filipino. It is so ubiquitous that it is probably in the same league as “time is gold” and “honesty is the best policy” in terms of popularity and frequency of use. This saying has been repeated many times in classrooms, graduation ceremonies, youth events and countless other occasions and places. It may be trite & overused and even clichéd for some, but after 138 years, these words used by our National Hero are as relevant as ever. More than a vision and aspiration, Rizal’s statement is an accurate and faithful characterization of young people and their pivotal role in society — agents. Agents act on behalf of a person, a group or an institution. They take an active role to produce a desired effect. Throughout history, young people accomplished this important function of being the means, medium, vehicle, and driver of and for change and development. Time and again, the nation witnessed how the Filipino youth fulfilled the role of being agents for justice, freedom, and equality. They were always in the forefront of the many movements for liberation and transformation. With youth participation as the core principle of the Philippine Youth Development Plan (PYDP 2017-2022), the Filipino youth are again called to reprise their role and function as agents in their communities and their nation. From “enabled, involved and patriotic youth realizing their aspirations,” the new vision statement of the PYDP is now “enabled, involved and patriotic youth realizing their aspirations anchored on integrity and compassion”. 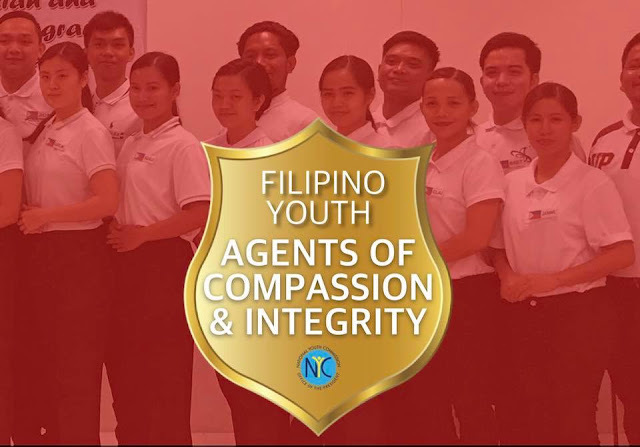 In this day and age, the call and challenge to the Filipino youth is to become agents of compassion and integrity. Change and development without compassion and integrity will be meaningless and inconsequential. Compassion is the cornerstone of a democratic nation. More importantly, it is the foundation of a humane society. Compassion takes the form of empathy, warmth, generosity, patience, and kindness. In the context of a community, compassion is expressed through solidarity. Feeling for others is always a good measure of character. It is also the gateway to involvement and leadership. It is ultimately about what Martin Luther King referred to as rising above the narrow confines of one’s individualistic concerns. Integrity is generally regarded as a personal choice. To be truthful and honest is a choice. It could also be a complex struggle specially because it is often not the most rewarding and convenient option in the broad spectrum of life choices. Yet integrity is fundamental to meaningful personal growth at the individual level, which in turn is an essential building block for a just, humane and peaceful society. It is there of utmost importance to engender integrity among the youth, and to foster an environment that encourages, recognizes, and rewards those who choose to pursue, uphold, and fight it. Compassion and integrity are the anchors of a just and humane society where which we envision for the youth, a society where they can be “enabled and involved to realize their aspirations” and become empowered individuals mindful of their role and responsibilities as active citizens.